Tap Champions of Su Mon Smash - Tap your way to victory! Explore Su Mon Smash fighting arenas filled with genetically engineered kaiju monsters called Aniforms. Tap to smash your opponents. Tap to activate special abilities. Tap to earn credits. Tap to evolve your aniform. Tap to unlock genetic modifications so you keep earning even when you aren’t tapping. Defeat mighty Champions! • Level up 16 Genetic Modifications to unleash brutal automatic attacks, even when you are idle! 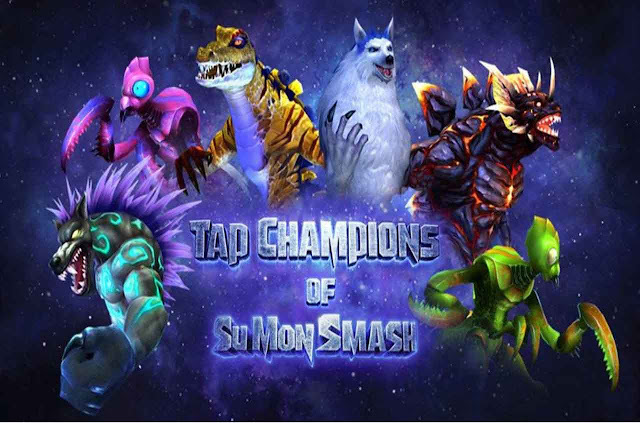 Is Tap Champions of Su Mon Smash an idle RPG or a frenetic tapping game? You decide!